Innovative design fits into any home. Easily assembled in one minute - simply screw on its legs. Fabulous, novelty pet caves incorperated into a great looking piece of furniture shaped like an elephant, a hippopotamus, a piglet, a buffalo and a dinosaur. A completely innovative design for any home. Lovingly designed to show off all the characteristics of these five animals, these little pet cave beds are absolutely ideal for kittens and small cats. They include a sisal cat scratching patch at the back of the bed, in case your feline feels like sharpening those nails. 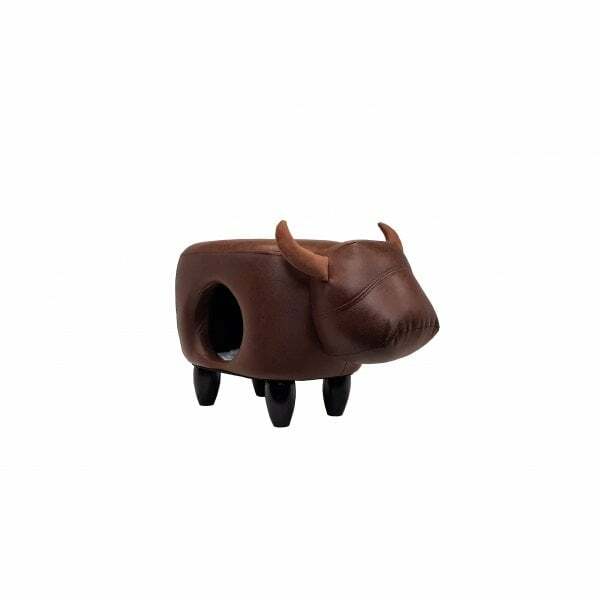 The other side of the pet cave furniture has an opening to allow your pet to hide away and go to sleep in this little igloo style bed. All of these animal shaped beds are heavily foam padded inside, so are very soft to touch. There are no sharp edges which could injure your kitten or puppy. The material used is a faux print leatherette style material, but silky soft when you run your hands over it. The bottom of the beds are reinforced to ensure it supports the weight of your pet, and each bed comes with a furry liner. Please kindly note, that these beds are designed for kittens, small cats and small dogs (such as teacup Chihuahuas). Bengal cats unfortunately will be far too large for the standard sized pet cave beds featured here (Flying Pig, Rodeo Buffalo, Stompy Dino and Trunky Elephant), although the larger size is the "Hungry Hippo", which will accommodate larger cats and small dogs, and may also fit a Bengal. The cute, beige coloured "Flying Pig" is a beautifully padded little piglet, with a cheeky 9cm little tail on one end, and a cute little snout with two black felt nostrils on the other end. 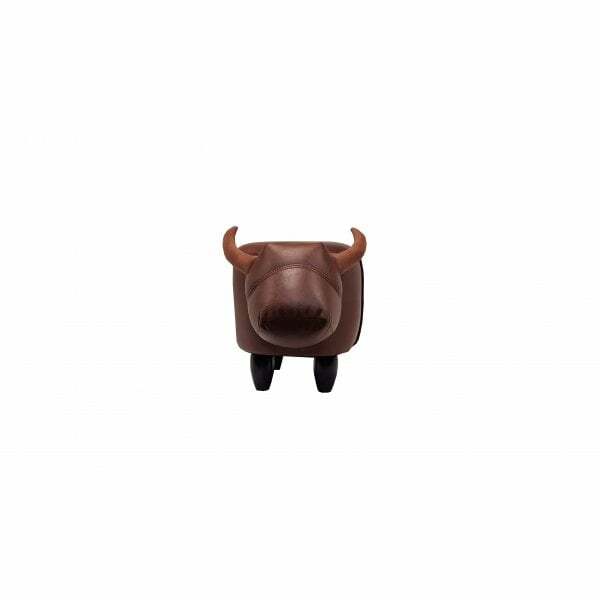 Don't forget those little 6cm tall sticky up ears, this little piggy definitely tells you that pigs fly! Who said dinosaurs were extinct?! "Stompy Dino" and his Triceratops relatives will be glad to take over your living room. Three padded, corduroy horns at the ready, with an impressive bony frill, this dark green leatherette dino and its beady, brown button eyes, will run riot with your pets. We are especially in love with this 30cm thick padded tail, which makes a great climbing aid onto "Stompy Dino's" back for that perfect view of your dining room table. His beautiful, long trunk curved upwards for prosperity, good luck and success, the grey leatherette "Trunky Elephant" pet cave is a welcome addition in any home. Two great, big, flappy ears and those shining white tusks bring a touch of protection to your home, and will soon become your pet's big brother. 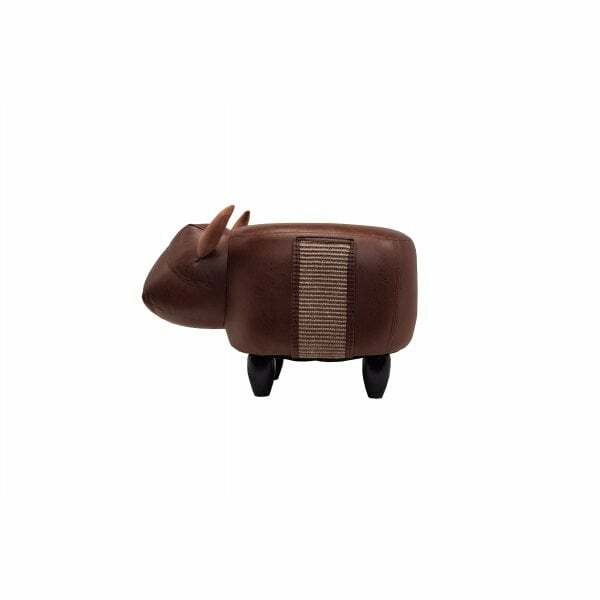 Those 15cm long brown corduroy horns at the ready, "Rodeo Buffalo" is a stylish safari animal that will fit nicely next to your leather sofa. 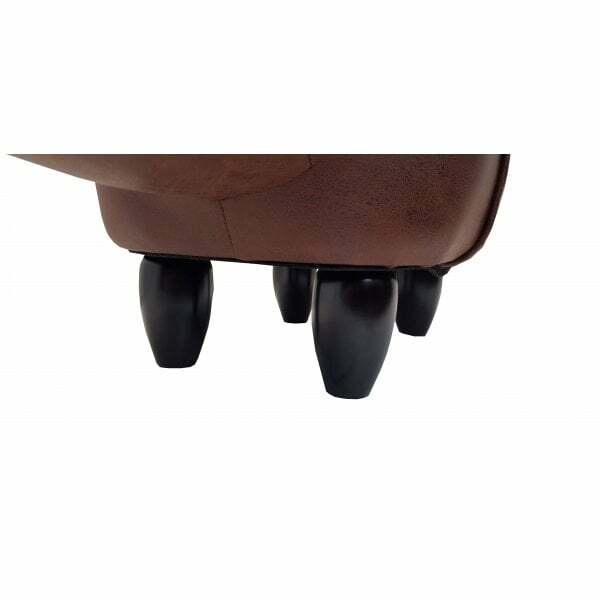 The dark brown leatherette style fabric blends in elegantly and will make your pet feel rather protected. Afterall, the cape buffalo is one of the top five biggest animals in Africa. This "Hungry Hippo" has a real appetite judging by the sheer size of its huge back, which is a great vantage view point for your pet. 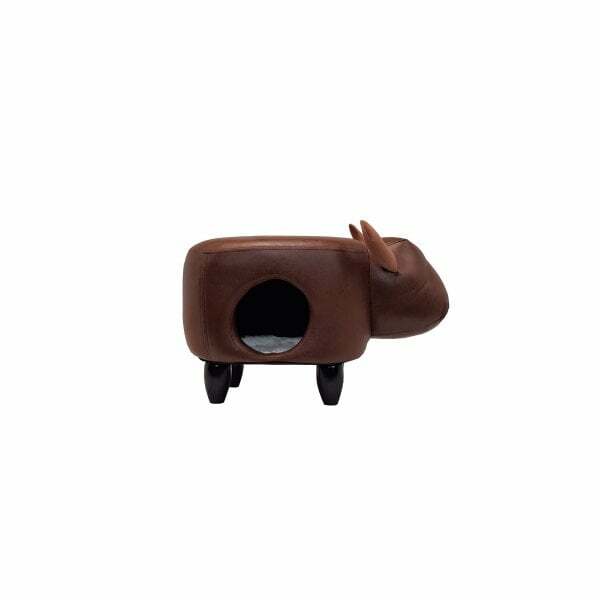 The cutest little sticky up hippo ears measure 4cm in height and have two little button, beady brown eyes watching your every move (please make sure your pet does not eat them though, as Hippos love their eye sight). The dark grey leatherette style finish is once again silky smooth to touch and the flared light grey nostrils at the front of its large, padded snout are a fantastic attention to detail. All sizes are approximate, and may vary slightly. Choose from one of five fabulously designed animals to fit into your house. Will you take home Trunky Elephant, Hungry Hippo, Flying Pig, Rodeo Buffalo or Stompy Dino?